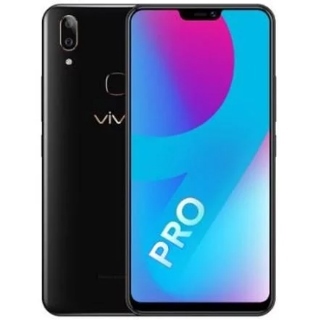 Vivo V9 Pro Offers: Vivo India launched Vivo V9 pro 6GB/64GB at an amazing price of just Rs.16990. Vivo V9 pro offer great performance and camera as it is paired with Snapdragon 660 processor, 13MP+2MP AI dual rear camera/16MP from selfie camera. Other specification includes 6GB RAM, 64GB ROM, 3260mah battery, premium design, fingerprint and face unlock and more. You can buy Vivo V9 Pro exclusively from Amazon.in. Part of launch offer you can avail No Cost EMI offer on major credit cards. This Deal is valid for the limited period so buy now. What is Vivo V9 Pro Price in India? Is Vivo V9 Pro Certified as Best SmartPhone? Is Vivo V9 Pro an upgraded version of Vivo V9? Does Vivo V9 Pro Come with a Fingerprint Sensor? Do Vivo V9 Pro has a Notch Display? Is the Camera Quality of Vivo V9 Pro Good? Does Vivo V9 Pro support dual 4G sim? Does Vivo V9 Pro come with microSD card support? What is the RAM of Vivo V9 Pro? Does Vivo V9 Pro come with similar face unlock feature as Vivo V9? *Get Extra 10% Discount via ICICI credit/ debit card and Citi credit card. Feast your eyes on the all-new Supernova Red edition of #VivoV11Pro . Grab yours today to #BeTheSupernova. Avail Rs 3000 discount on actual price of ivo V9 Pro (Supernova Red, 6 + 64 GB). Buy it at No Cost EMI starting at Rs 1,083/month with 25% down payment. Vivo has been going great with its newest series of smartphones. From the very first in-display fingerprint sensors and elevating cameras, Vivo has done it all. And now the very beautiful and trendy Vivo V9 has found its successor, which is the Vivo V9 Pro, a downgrade to Vivo’s newest V11 Pro. The smartphone features an AI enabled hexa-core Qualcomm Snapdragon 660 chipset with AI engine, along with Adreno 512 GPU for a better seamless experience and high-end gaming. Vivo V9 Pro offers a 6.3-inch FHD+ FullView Display 2.0, dual rear cameras with a 13MP sensor and a 2MP sensor, and a 16MP selfie shooter at the front within the notch. The front camera also houses the facial recognition feature, along with AI bokeh and AI beauty modes. Equipped with 6GB of RAM and 64GB in-built storage, Vivo V9 Pro offers a triple card slot for a dedicated microSD card of up to 256GB. A 3,260 mAh battery sits under the hood, to last a day on a single charge. Here, you can get to know the Vivo V9 Pro sale price, all about Vivo V9 Pro sale date, and the on-going Vivo V9 Pro Amazon offers. Get Vivo V9 Pro exclusively on Amazon at an amazing price of Rs.17,990. Avail a discount of Rs.2000 on your purchase. Vivo V9 Pro launch date in India is 26th September 2018, and will be up for sale through Amazon.in, during the Amazon Great India Festival sale and Vivo e-Store. Vivo V9 Pro sale to start in India from October 10, when you can make use of the best Vivo V9 Pro deals. Vivo V9 Pro is the successor of Vivo V9 and is available in India only in October with Snapdragon 660 and 6GB of RAM Launched at Rs 17,990. Vivo V9 Pro will go on its first sale starting October 10 in India. The smartphone will be available in a Black colour. Vivo V9 Pro price in India has been set at Rs 19,990, but you can get the smartphone at just Rs 17,990 under the Vivo V9 Pro discount offer, exclusively on Amazon. While the discount of Rs 2,000 brings the Vivo V9 Pro Amazon price down, you won’t be able to find any Vivo V9 Pro Flipkart offer. Once the smartphone goes on the first sale on October 10, we will bring you the best Vivo V9 Pro SBI offer and other Vivo V9 Pro bank discount offers. Also, you can check the Vivo V9 Pro specification list on our offer page to help you through. Vivo V9 Pro awarded as Best Smartphone Technology award MWC 2018 By Android Central. Also, Get Best Smartphone Technology Award CES 2018 By Digital Trends. Yes, Vivo V9 Pro is an upgrade to Vivo V9. Yes, the smartphone comes with an in-display fingerprint sensor. Yes, Vivo V9 Pro has a notch display design. Yes, this smartphone’s camera is packed with dual cameras. Yes, Vivo V9 Pro supports 4G with VoLTE on both SIM cards. Yes, Vivo V9 Pro comes with a dedicated microSD card slot. This smartphone comes in a 6GB RAM option. Yes, Vivo V9 Pro comes with face unlocking feature.